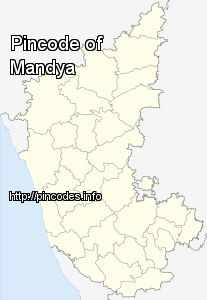 Mandya (Kannada: ಮಂಡ್ಯ) is a city in the state of Karnataka, India. It is the headquarters of Mandya district and is located 40�km from Mysore and 100�km from Bangalore. Mandya is located at 12.52°N 76.9°E﻿ / 12.52; 76.9. It has an average elevation of 678�metres (2224�feet). Sumalatha informed reporters that she would file her nomination from Mandya on March 20.